Allegations, insults, and even predictions en 140 characters were enough to prosecute seven people in Venezuela. Image taken from the Twitter feed of mkhmarketing under Creative Commons license. Seven people in Venezuela had to trade a keyboard for prison bars in 2014. Ordinary citizens who wrote messages on Twitter — that were considered criminal by the Venezuelan government — are now behind bars. In most cases, Venezuelan intelligence forces took them from their houses and workplaces and incarcerated them. Although it may seem like a newfangled practice, it is not that at all. In Venezuelan prisons there are already several Internet prisoners. Jesus Enrique Manajo was detained in September of 2010 for publishing a photograph showing the wounded face of then-president Hugo Chavez. Another example is Lourdes Alicia Ortega, brought to court in March 2013 for having stolen the identity of an employee from the Autonomous Service of Registries and Notaries to send tweets against Chávez. However, it was in 2014 that the Bolivarian National Intelligence Service (SEBIN) set out to capture Twitter users considered to be against the government of Nicolás Maduro. 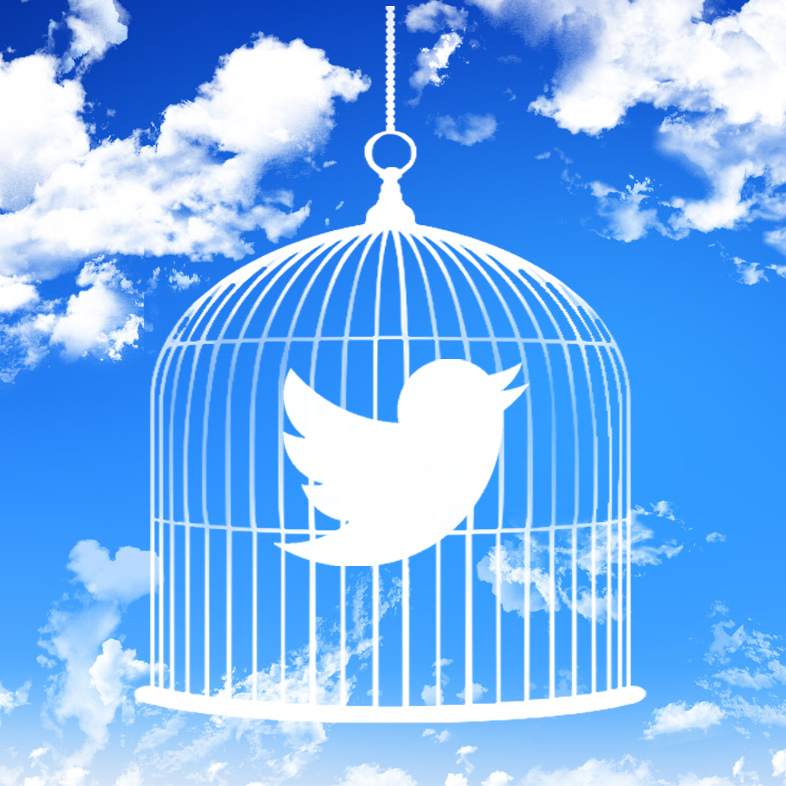 The majority of these “Twitter prisoners” are adults with stable professional careers in their fields. They do not appear to have been immersed in political activities, nor have they been active in militant parties. But just one or two falters were sufficient to mobilize the SEBIN to detain them at their headquarters. @AnonimusWar on Twitter was an account run by Leonel Sánchez Camero, a 47-year-old economist with more than 100,000 followers on the social networking site. His was the first known detention due to online speech of 2014. On his profile, he identified himself as an organizer of the “Radical Resistance against the current regime of government.” He was a self-proclaimed defender of human rights, freedom of expression, and democracy. His profile also empowered the independence of the public Venezuelan powers. On Twitter he shared his opinion, mainly on political topics, appealed to government officials, mentioning them or what he thought about them and even retweeted opposition leaders like Leopoldo López y María Corina Machado. In order to detain him, more than 100 officers came to his mother's property in the western state of Barinas. He was moved by helicopter from there to the government reclusion site three meters beneath the ground in the SEBIN headquarters in Caracas, informally known as “La Tumba” (The Tomb). Previously, political prisoners were brought to El Helicoide, another of the government political reclusion centers. They charged Sanchez with instigation of hate, conspiracy, assault, unauthorized access, and possession of counterfeit equipment. These “crimes” of opinion represent a violation of freedom of expression. In almost all cases, the Public Ministry has acted ex officio, without issuing formal denunciations, according to Caracas free expression NGO Espacio Público. Without a right to due process, what they've published on their accounts is still secondary: the state is violating their [right to due process] and abusing its power. The most widely known case of a detained Twitter user is that of “Inesita Terrible”. A native of the city of Maracaibo, in the west of the country, with a postgraduate degree in chemistry from the United States, Inés María González worked for a year and a half for the Venezuelan Institute of Scientific Investigations. In the eyes of the government, González committed the offense of having “mistreated” the public image of deceased legislator Robert Serra on Twitter. SEBIN visited her house on two occasions; the second time, they took her away, giving her the false impression that she was only being brought in for questioning. A dark, dank cell awaited her. The court hearing the case issued a measure to release González, in which SEBIN has not complied. Their defense lawyers introduced a habeas corpus, a measure that is ordered to avoid the continuation of a random detention and to guarantee basic rights. “La Terrible” was sentenced to three years in prison after pleading guilty of inciting hate, but rejected the charges of assault of a civil servant, violent assault, and public instigation, which the prosecution dismissed. On November 3, 2015 she was issued a so-called “humanitarian” measure so that she could undergo surgery for endometriosis. The next Twitter user was Victor Ugas, a detainee who may have more evidence against him than the others. Ugas took photos of the corpse of Serra and published them on Twitter. At 26 years old, he was accused of improper disclosure of facts or information of personal character and of information espionage. Like the other Twitter users, he is being held in the headquarters of El Helicoide. “How can one predict the death of an assembly member and not expect repercussions?” These were the words of the president of the National Assembly, Diosdado Cabello, who on his program “Con el Mazo Dando” (Hitting with the Sledge Hammer), denounced the @Hipolita account, a clairvoyant of Twitter who predicted that the Parliament “would be in morning” days before the assassination of Serra. For this tweet on September 24th, Sebin detained @Hipolita Why? Despite the name, the account belonged to a man named Lessi Marcano, an architect who dedicated the majority of the 48 years of his life to the art of divination. The account was run both by the archiect and by his niece, Ginnete Marcano, who managed inquiries send to him. Marcano was accused of information fraud, public instigation, and instigation of hate, but was only found guilty of crimes of conspiracy and distributing false information. His niece was not spared either. The 23-year-old woman, who studied art at the Central University of Venezuela (UCV), was paid a visit by SEBIN officers at her place of work one day. She had begun working as a community manager at the cable television channel on E! Entertainment Television just two weeks prior. Her sentence ends this December. She was found guilty for crimes of distributing false information. María Magaly Contreras is a 55-year-old homemaker who runs a popular Twitter account where she tweeted some comments against the government. This was enough for authorities to arrest her, though they did so in a deceitful manner. Contreras received a call from Sebin to tell her that her son was detained and when she arrived to the headquarters of the political police of Maracaibo, where she lived, they arrested her. At present she is on parole with community service. Her username was @marlatmaga and her crimes were instigation of hate and conspiracy. The Venezuelan government also detained people who had nothing to do with messages against them. Daniely Benítez was detained for five days in SEBIN in Caracas. The president of the Venezuelan Parliament and official leader, Diosdado Cabello, mentioned her on his program as the writer of tweets from the account @hipolita, even though it was proven that she did not run this account. More than 30 officials from SEBIN took her from her house, together with her computer equipment. Her case was dismissed. There were no apologies nor rectification by the government. The person most recently detained by the government is Army Colonel Jose Martin Raga, who after appearing on Newsweek Español Venezuela was taken and detained for criticizing the governmental administration of Maduro. On his Twitter account, @josemartinraga, he is described as a chavista, but this didn't stop him from criticizing the failure of the state to adequately advance agriculture in Venezuela and the complacency of the armed forces in the so-called economic war. Raga was detained for two days in SEBIN. On his wife's Twitter she thanked Maduro for his “gesture” of freeing him with the slogan, “Chávez Lives”. Colonel Raga is free. Thanks to all that supported us. Thank you President @NicolasMaduro we continue the fight for the homeland. Chavez Lives.